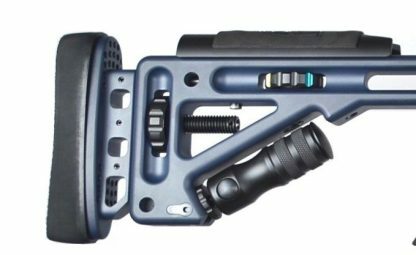 MPA 338BA Bolt Action Rifle allow 8-12 weeks for delivery from date of order. MPA 338BA Bolt Action Rifle Custom Cerakote Colors add $135 for the chassis body and $65 for the barreled action. Check with us for all the custom colors available. Please note, the 338L chassis does not have the barricade stop system as part of the design. Trigger Pull – 1-4 lbs.